Chester has a brand new restaurant that has opened it's doors on Pepper street call Opera Grill and it looks incredible! What used to be Habitat many many years ago and then other shops before being a run down waste of space has now had a full renovation to become one of Chester's biggest restaurants, if not the biggest! "The best thing to happen since the Romans arrived - Opera Grill, the long awaited brand new 400 seater, £3m restaurant opens this week. Individual Restaurants, the company behind some of Cheshire’s most popular restaurants, promises to bring theatre on a grand scale to the restaurant scene in Chester, with the opening of Opera Grill this week! Described as ‘An Internationally inspired grill using outstanding ingredients’ Opera Grill is a 400 seater restaurant. Boasting a ground ﬂoor restaurant & bar, a ﬁrst ﬂoor restaurant & bar with a music lounge complete with bar and stage, along with a south facing all year round roof terrace which is sure to be a hit with Chester sun seekers! The restaurant will open for lunch until late, 7 days a week and is situated on Pepper Street opposite its sister restaurant, Piccolino. 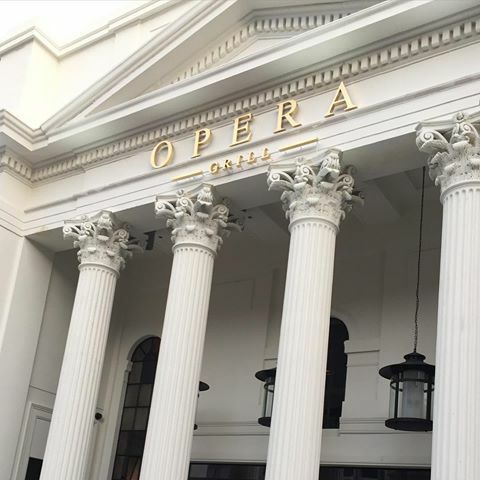 Following a painstaking restoration of this listed building to expose its former glory, a further £3m has been invested to create Opera Grill." 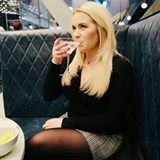 I am very excited to go and check out this brand new restaurant on Thursday 18th August for a taste of the delicious sounding menu, which you can find HERE. The fillet steak, charcoal grilled asparagus skewers and triple cooked chips are calling my name already! Inside, to me, it looks classy, comfortable and cosy which is everything I look for in a good quality restaurant. "As you enter the restaurant a full height wine boutique greets you, showcasing bottles from the restaurants extensive list of wines and Champagne created by in house sommelier, Dario Barbato and his team. The ground ﬂoor which has been named the ‘Grill Floor’ features a central island cocktail bar accompanied by dining for guests on both sides. The open kitchen boasts a 3 meter handmade charcoal & wood burning grill, which sits between two feature wood burning ovens. Either side of this are two, ﬂoor to ceiling fridges, lined with pink Himalayan salt bricks where cuts of meat are dry aged, in house. Just about everything on the menu is made in front of guests. 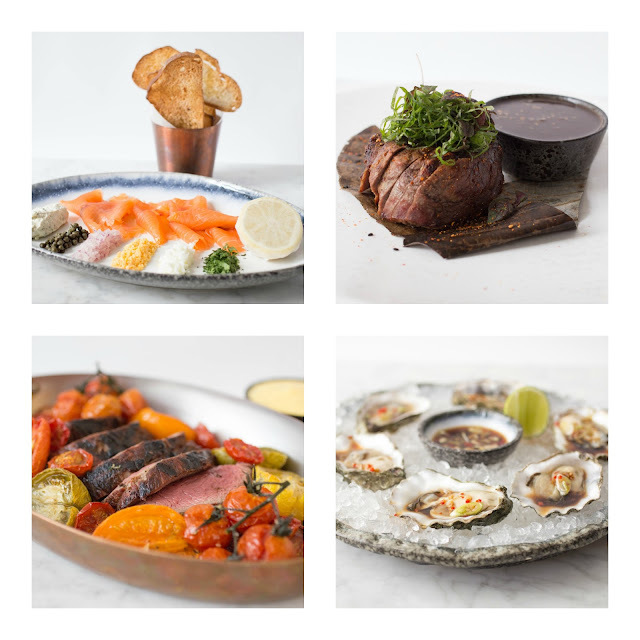 With 25 metres of display fridges highlighting the vast range of fresh produce on offer, including raw bar, cold counter and in house butchers, all adding to the theatre of the restaurant." It sounds too incredible for words so you can all expect a full and detailed review once I have been.....I am far too excited! My partner, who is a vegetarian, is coming with me so it will be great to get his input too for all of you veggies out there! To book a table either visit: www.IndividualRestaurants.com, call 01244 343 888 or email Helen.Bamford@IndividualRestaurants.com. Be social and follow Opera Grill for all the up to date information!